Categories: News. Tags: driverless cars and self driven cars. UK cities can now bid to host trials for driverless cars, with the government flagging their onset on public roads in January 2015. The trials will last somewhere between 18 to 36 months. 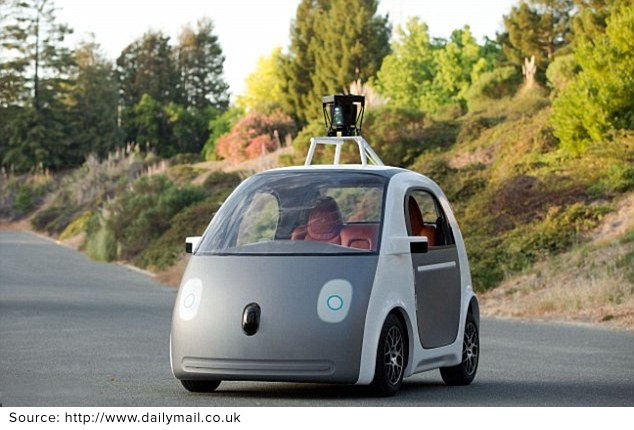 Presently these autonomous vehicles can ply only on private roads. These driverless cars guided by sensors and cameras, have put the country at the forefront of this revolutionary technology opening up a host of new opportunities for the entire society. Surveyors and Monitoring groups however feel differently. They say that a large chunk of drivers in UK enjoy driving a lot and are wary about handing over the control of their car to a computer. It seems that although people are attracted by the technology, they have plenty of concerns when it comes to buying or riding a driverless car. It is notable that the British army already uses driverless vehicles supplied by MIRA, an automotive design specialist which has now ventured into developing driverless vehicles for civilians. MIRA Engineer Tim Edwards feels that UK has some very latest technologies and exclusive know-how’s and the only area where it lags behind is field trials. Apart from the technological concerns, the government needs to pay attention to legal issues. Consumers would have queries related to insurance cover and premium that need to be addressed properly. It was in December 2013 that the UK government had released a National Infrastructure Plan outlining the commitment to develop robot enabled driverless vehicles but no timeline was specified at that time. With robots taking charge of the wheel could mean quicker travel, safer roads and less accidents and crashes on British highways!